In every prestigious competition, there will always be a lot of competitors. This is very true for the team-oriented sports and esports. And out of all these teams, there will always be superstars. Stars who shine the most and will always be coveted. These are the likes of Cristiano Ronaldo, Lionel Messi and Eden Hazard in football. Lebron James, Stephen Curry, Kawhi Leonard in basketball. This can also be applicable in eSports. Names such as Simple, Coldzera, Forest in CS:GO or Iceiceice, NoOne, and NoTail in Dota 2. What are the similarities of these names? They are the stars for their own respective teams in the tournaments that they compete in and these names will never play together ever. We as spectators always wish that they can form a super team, or lump these names in one big organization that they can be teammates, but sadly it will never happen due to salary restrictions, salary caps, and player chemistry. But we always wanted to see it, and thus fantasy sports was born. So what is fantasy eSports? Fantasy esports was born due to the need of us spectators to see how our idols, which are the superstars that we adore be in one same team. It is not actually a new mode of gameplay. This has been played for as long as organized sports existed. Although there were no solid rules back then, kids who idolize players will always speculate on forming a super team and pit them against their other friends who pick other players for their super teams. Admit it or not, we all did this as a child. We would do this until we became adults and our kids would follow us. However, the modern rules were set way back in the 1980’s. The original sport that had the rules set for was baseball. Thanks to Daniel Okrent with penning the rules for fantasy baseball, it became widely known when it was picked up during the 90’s when it was applied to college American Football. And from there it is history. 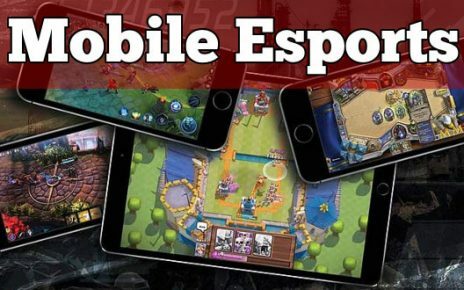 It has recently been adapted in eSports as well and it has widely seen its success as more millennials adapted the game. How do you play fantasy sports? The rules are pretty simple. All you need to do is pick your favorite players from the roster of various teams that are competing in a single league or a tournament. The number of players you can pick vary on what game you are playing. 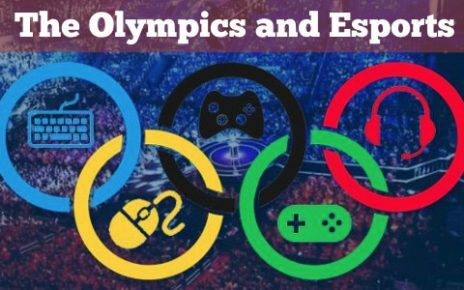 It is usually 7 for eSports games such as CS:GO, LoL, Overwatch and Dota 2. It will be 10 players for basketball, 17 players for football and so on. Once you have picked up your players, it is very easy to manage as most of the time you will just do nothing and watch how your favorite players perform. It can be a little harder on events that utilize leagues or long competitions such as Overwatch as you have an option to pick up a different player the next week you are playing. Each player gets points based on the metrics of the game you are playing. And these points the players gain adds up and totals to your points gained at the end of the week or the end of the day. The competitor who picked up the roster with the highest points earned wins that day or week, and the grand winner will be based on the highest points earned by the end of the tournament or the league. This is where micromanaging your roster becomes hard, by making important decisions on who to sub out and also who to draft for the next week or day based on their previous performance. 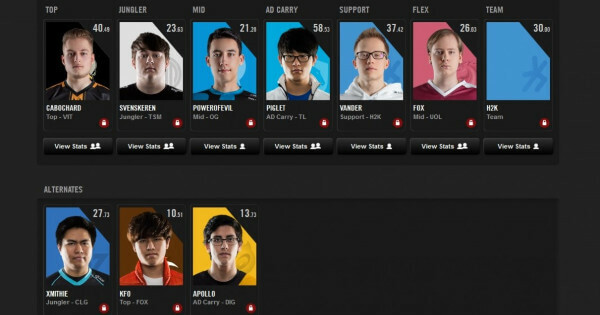 Like I said earlier, fantasy has been highly adapted in the eSports scene. 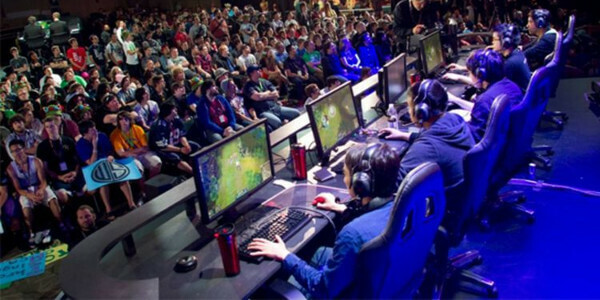 Games such as FIFA, CS:GO and Dota 2 offers their own mini-game mode in-game on every tournament or season. FIFA has FIFA Ultimate team where you get to build a squad by collecting cards and compete in it using the squad you built. This is mainly used to gain qualifications for their major eSports tournament at the end of the year. CS:GO and Dota 2 offers fantasy on every tournament that they have. The rewards for winning vary from cosmetic stickers to rare in-game items that you can then sell. However, these modes do not require you to put in money and is more like a contest hence the risk to reward is kind of low and a lot of people deter from it. The more famous fantasy squads can be found in various gambling or bookie sites. These ones offer a lot of money as the rewards for winning the whole thing by being the highest point earner at the end of the tournament or season. Aside from that, however, they do offer weekly and daily prizes on the top earners of that particular week. 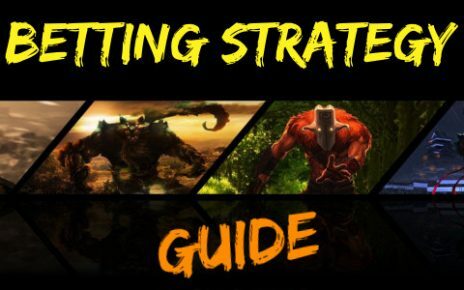 The betting aspect comes from the side games that they offer, be it a competitor vs competitor head to head, or on prediction side bets on which player or team earns the most points. Head to head pits one competitor with their constructed team against another competitor with a different team. Both competitors put in equal amounts of cash on their team and the winner is decided on who earns the most points. So even if you cannot win the weekly prizes, you still have a chance of earning money by just constructing a really good team and seek out head to head competitions to win against. Most of the time, a lot of people make more money on the head to head than the weekly prize. The second most popular mode is prediction. This one is very easy as you only need to pick someone from the roster who you would guess to earn the most points for the particular week. There are also another team based predictions where you actually bet on the squads that other people created when they go head to head with another person. On this mode, you do not even need to create your own squad to compete. All you need to do is just to pick out and predict the winners and you’re golden. Most people who play these modes, however, have their own pre-built squads as well and then they just bet on their friend’s squads as an added source of winnings. One way to be successful in this mode is to seek out the best squad builders on the site with a good winning history and bet on them. Fantasy eSports are here to stay! It will never disappear since its inception. It will only grow more diverse and bigger. It is one of the most well-loved game modes that a multitude of people can play and can relate to. I mean even people who do not know a lot of players or do not regularly tune in to an event or a tournament but know who the stars that dominate in the game are can win daily or weekly prizes by just picking the stars to form a squad or just to predict the highest point earner. It has been integrated on most games that we play. Just look at FIFA, Dota 2 and CS:GO. They have these things as a game mode on every tournament that they offer. FIFA, on the other hand, has FUT as a major attraction in it. I know a lot of people who buy FIFA every year just to play FUT and get the updated squads. Overwatch has caught up too and it is even bigger on their scope as they offer a league where people who watch and bet on it can get the feel of it on a bigger level just like they are playing an American Football or a basketball league. One last reason that it will never go away is due to nostalgia. Playing fantasy takes me back to when I was a kid, like picking Eric Cantona, Jurgen Klinsmann and Roberto Di Baggio to play together, only I’m picking Magisk, Oskar, and Guardian as part of my squad. Every time I pick a squad, it transports me back to the playground, hanging out with my friends and arguing. Oh, the good old days! See you soon guys. Good luck!